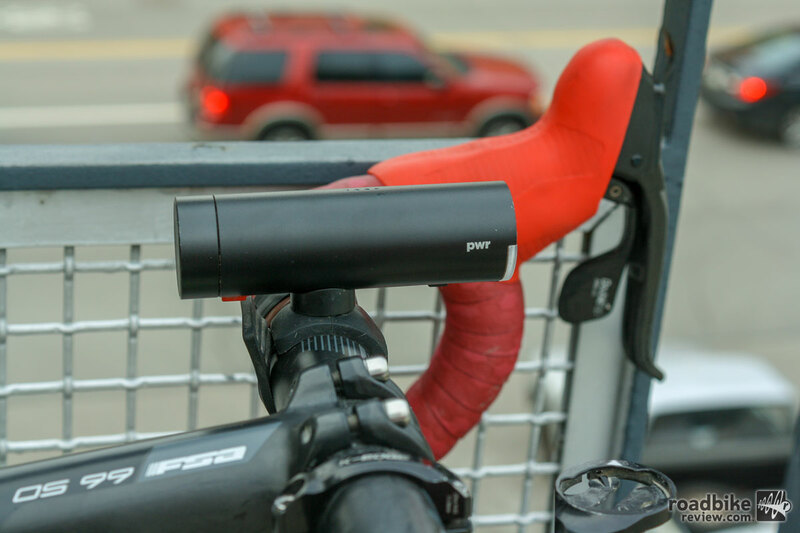 The Knog PWR is small but packs a powerful punch. Knog’s PWR Commuter is a 450-lumen bicycle light with a compact power bank. 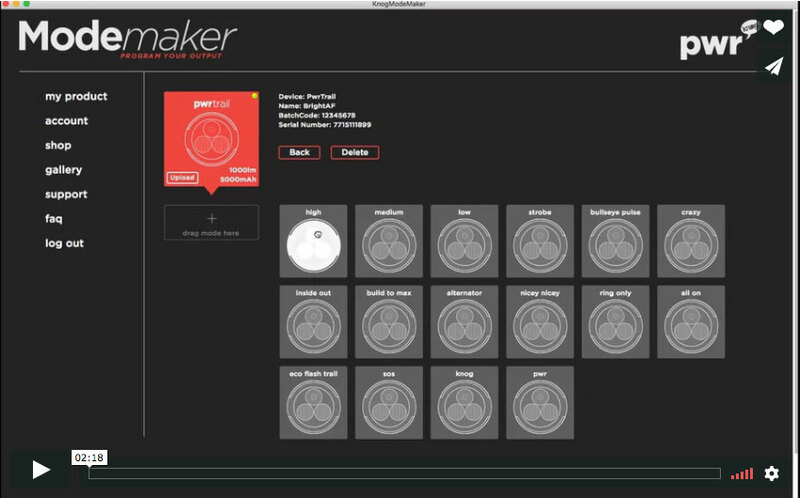 It is fully programmable though Knog’s new app and ready to hit the road right out of the box. Knog is forward thinking, typically offering cool products. Its new PWR line featuring the Commuter and Rider lights are no exception. 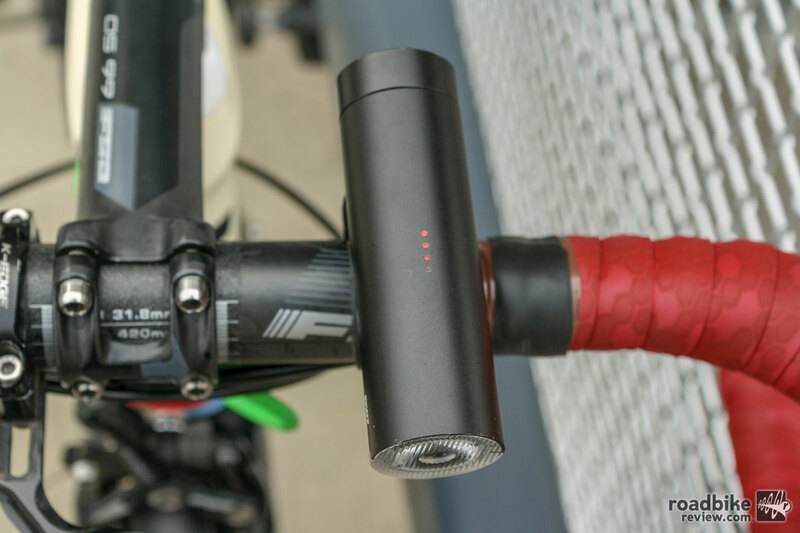 The PWR Commuter tested here is a 450-lumen bike light that also can work as a power bank to charge other devices such as your smartphone or GPS head unit. Both PWR lights are programmable via Knog’s Mode Maker App to dial in your brightness and run time. The difference between the Rider and Commuter lights is capacity, headlight, and charging ability. The Commuter’s output is an elliptical beam for broad, bright road coverage, and it has a run time of 40 minutes at full power and an 850mAh power bank. The Rider has a 2-hour run time at full strength and a 2200mAh power bank. Both lights have four bright battery indicator LEDs to alert the user to how much battery life remains in real time. The Knog PWR Commuter light has a wide beam pattern for maximum visibility. Both the Commuter and Rider mount using a thick rubber strap that attaches to the base of the light with micro indexing for small horizontal movement. The opposite beam side has an end cap that hides a micro-USB charging portal. Now you can charge your phone at a coffee stop thanks to Knog’s portable power pack. 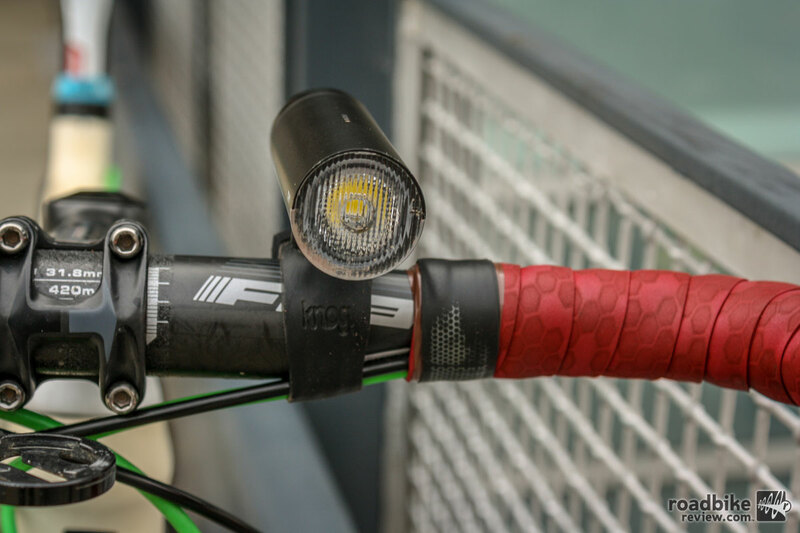 Installation and use are routine for those who are familiar with rechargeable bike lights. 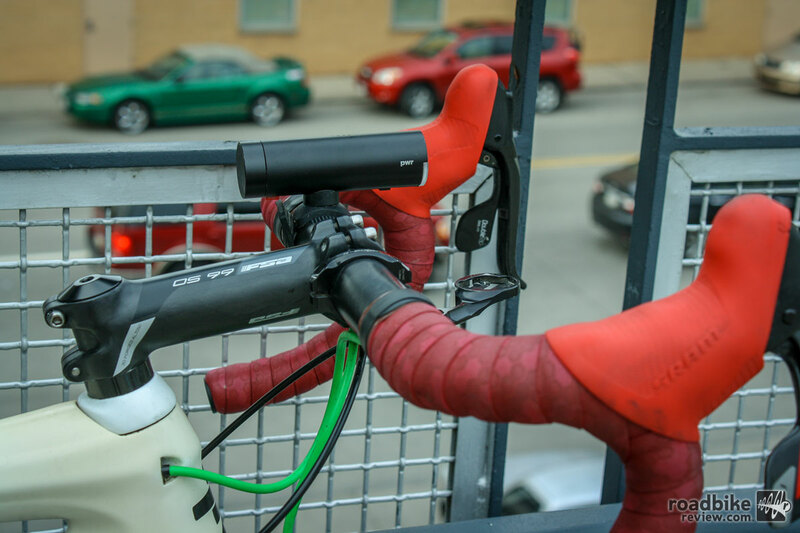 A rubber strap attaches securely to handlebars or light attachment. I encountered zero slippage with the PWR Commuter while riding singletrack on my cross bike. A single click operates the on/off function and cycles through beam settings. I liked the placement of the button, but found it hard to work with thicker gloves during cold weather rides. On road rides, 450 lumens is an adequate amount of light to be noticed by traffic and also see on unlit roads. The Knog PWR Commuter comes with six pre-programmed light patterns, three of which are sustained and three that pulse. All are applicable in real life riding. But I would like to see an adjustable beam and head like the PWR Rider. That said, the light disbursement is excellent for commuting and city riding. Styling is slick and clean, with a black alloy body and red button to indicate charging ports. This understated styling is new for Knog, and it looks great on any bike. You always know where you stand on battery life. Bottom line, if you’re looking for a light that will impress your tech friends and make sure you have a topped off cell phone, the Knog’s PWR line is worth a look. The PWR Commuter is practical and priced well. Though a power bank is new territory for bicycle lights, this is a handy tool, especially for forgetful phone chargers like myself. Knog’s PWR is jam packed with features and value. Knog PWR is small but packs a powerful punch of lumens. Knog PWR Commuter has a wide beam pattern for maximum visibility on the streets. Now you can charge your phone at a coffee stop, Knog’s got you covered with a portable power pack. Classic alloy body and stealth tubular shape; the PWR looks at home on any bike. 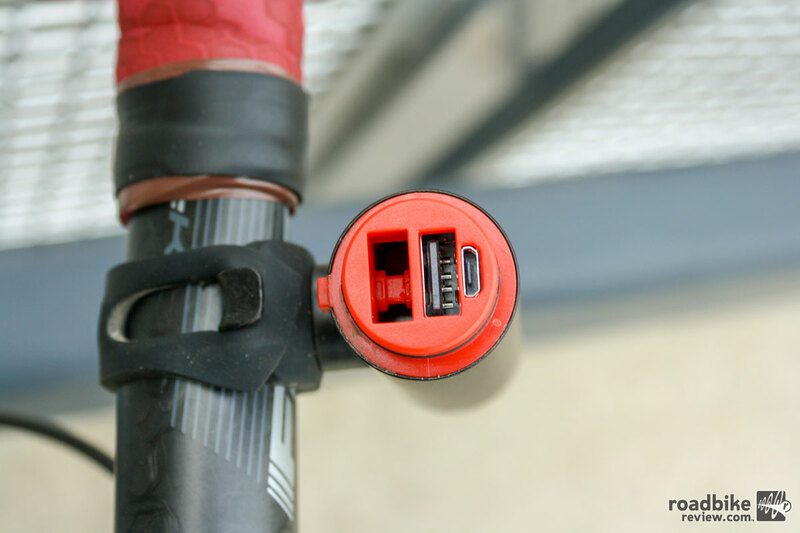 Always know where you stand on battery life, Knog PWR Commuter shows you how much you have in the tank. Knogs PWR is jam packed with features and value. Manage you beam pattern and battery life with Knogs app.